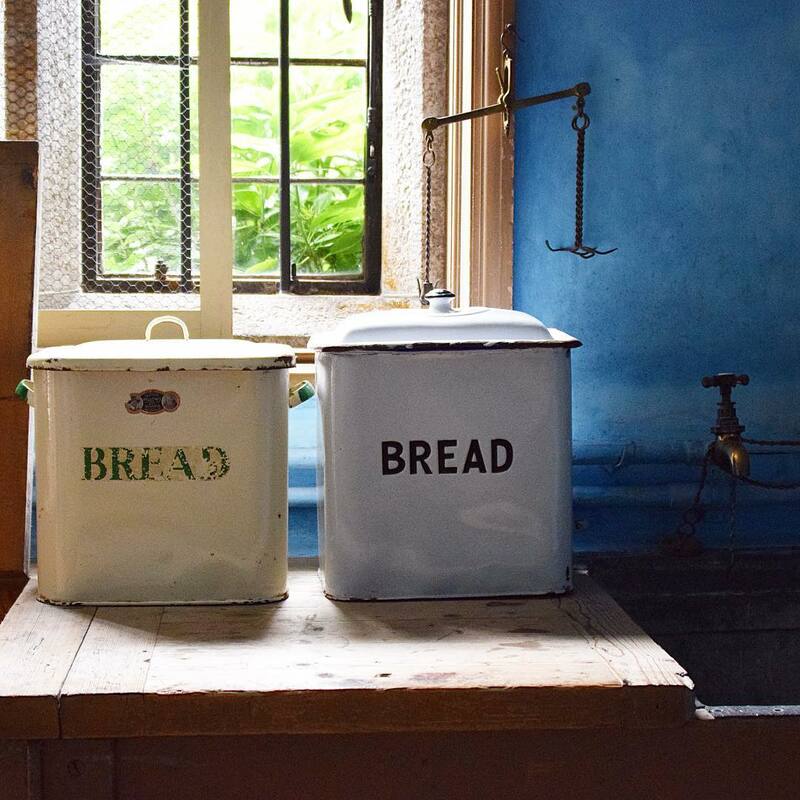 Enamel bread bins are a slightly more rare but very attractive bread storage accessory one can buy for your kitchen. Most are white and often come with decorative designs such as the one in the picture to the left. As someone who has arranged a good few kitchens, I am aware of how important it is to find a good balance between kitchen accessories and the overall decor of the interior. Bread bins are an integral part of these considerations as are their much needed functional aspects. This page delves further into the world of enamel bread bins and showcases some of the best one can find on the internet as well as where they can be purchased. Bread bins are a common sight in kitchens across the world and they fulfil their basic function very well. This function is to store bread and similar baked food goods whilst keeping it fresh and safe from accidental damage. They also help in keeping kitchen counters clean and providing more space. The majority of bread bins are designed so as to be tightly sealed when closed and this traps moisture in the air and keeps the bread from getting stale quickly. In areas of the country where wild animals often poke their head around the door, the bread bin also keeps the bread safe from uninvited mouths. An enamel bread bin offers something different to the regular bread box and this is the material it’s made from. It can be rather difficult to find bread storage pieces that match certain kitchen decor schemes, particularly those with many white enamel utensils and objects. 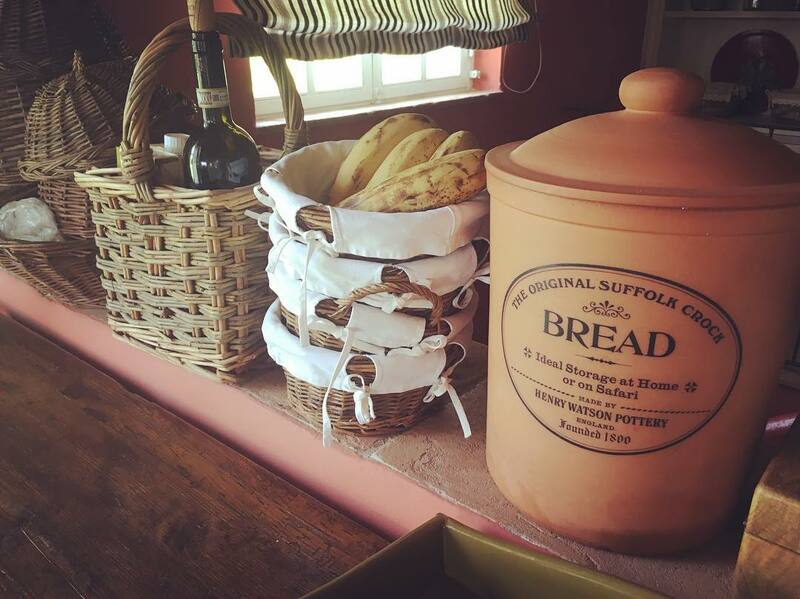 The enamel bread bins are perfect for creating a certain uniformity in kitchens which have many items of a similar material and look. However, they also go well in various other settings, regardless of the other accessories nearby. When buying an enamel bread bin, consider first the space in which it will be located. Make sure the area is large enough and that you check the dimensions of the bread box mentioned on an internet product page or a tag if in a real-world store. There are varying sizes to choose from and the type you buy also depends on the size of your family and how many mouths you have to feed. Some hold just one loaf of bread whilst others can contain three or four. 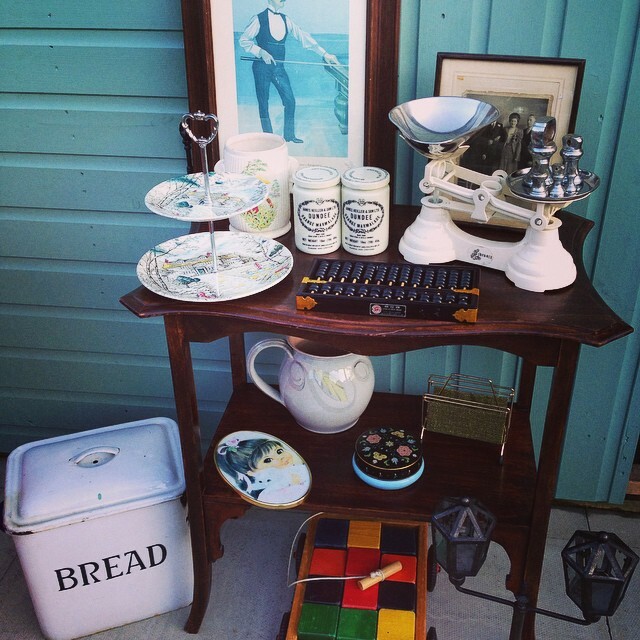 This vintage retro bread bin in white echoes the French country kitchen look. With a combination of contemporary and yesteryear charm, this white enamel bread bin will bring a cheerful Joie de vivre to many a kitchen interior. It will also keep your bread safe and soft whilst providing an attractive feature that will be the talk of family and visiting guests alike. Bread bins made from enamel often come with colorful decorative features on the sides. This makes them an attractive addition to a kitchen and can bring a certain interior theme together. Others can be found in just pure white and again, these serve particular decor schemes just as well. Another factor to consider is what type of lid you want on your bread bin. There are a few different types which include lift-off, drop-down, hinged and roll-top, not to mention, handled. The type of enamel bread bin lid you buy will depend on the style of your kitchen, the space where the bread box will be placed and your own individual tastes. 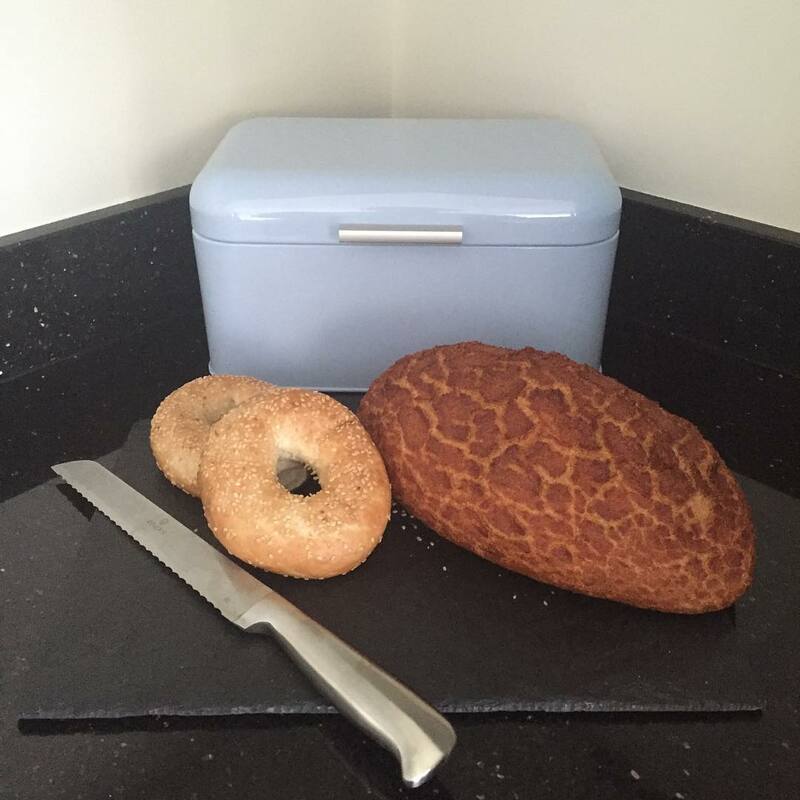 A vintage retro bread bin revolution for your kitchen! 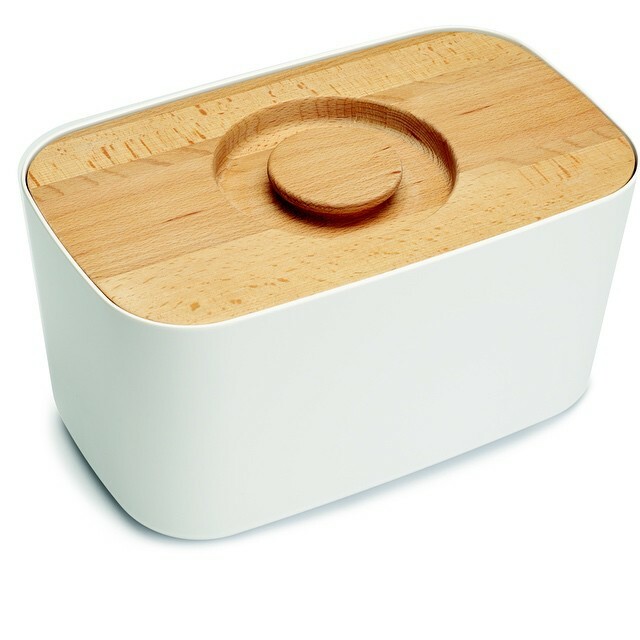 Keep your baked goods fresh longer with this sturdy bread box. 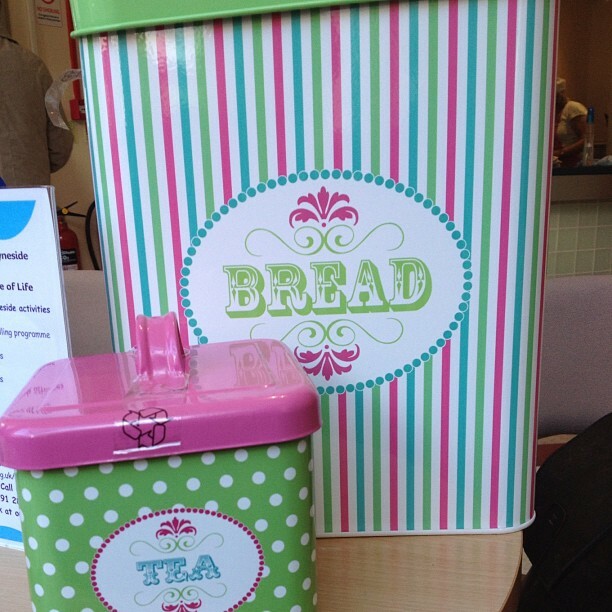 This shabby chic breadbox will make a great bread container and provide compact space saving bread storage. It is the perfect size for a counter or shelf. Comes with a retro wooden handle. Red roses are hand laminated to the antique gloss enamelled metal breadbox. Design of breadbox fits easily into a French country chic, shabby vintage retro or cottage décor.